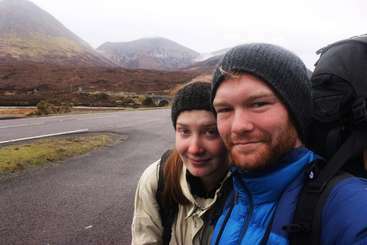 Congratulations to Workawayers Tom and Tatjana from New Zealand/ Germany for winning June’s Photo Competition. “We love the view at their Workaway home in the breathtaking Swiss Alps! We can’t imagine a more wonderful place to be, especially for those with a green thumb! Apart from the winning view, we love how the picture really reflects one of the many real scenarios of cultural exchange that take place everyday. We always believe that travelling is not just about new sights, it’s also about the lifestyle!